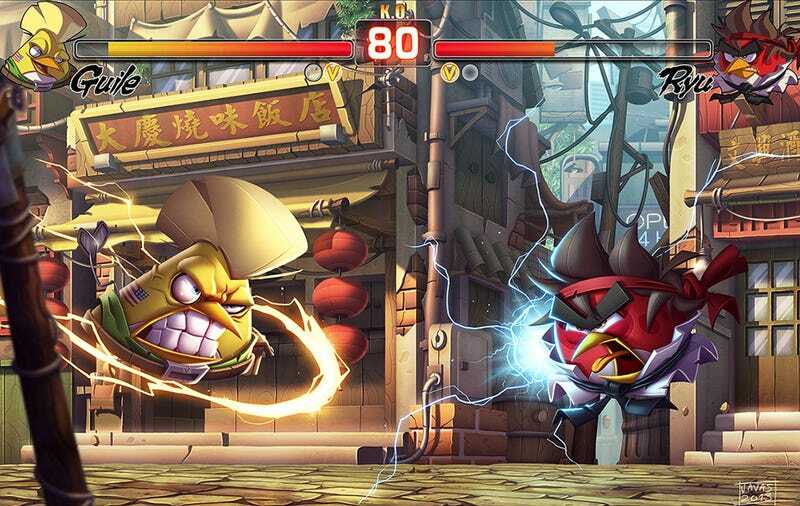 Artists at Rovio were asked to mix Angry Birds with other games, and this Street Fighter mashup is what Javier Burgos came up with. Awesome coloring! And he really had to make those birds look upset to avoid mockery. Dayshot is an image-based feature, that runs every morning, showcasing some of the prettiest, funniest game-related screenshots and art that we can find. Send us suggestions if you've got them.